Uber has added a new feature to its app, and it’s one that should have been a thing from the beginning. Called Saved Places, this essentially lets you store your favorite locations for future reference. So, anywhere that you regularly take an Uber What Is Uber and Why Is It Threatening Traditional Taxi Services? What Is Uber and Why Is It Threatening Traditional Taxi Services? Uber has landed, and it's fundamentally changing inner-city transit. And some might say, not entirely for the better. Read More to will now be easily accessible. It’s a sad fact of life that most of us spend our time in the same few places. There’s home, there’s work, and then there’s the handful of other places we always seem to find ourselves visiting. And yet no matter how many times we visit these places, we never remember the addresses. Uber’s new Saved Places feature is here to help. It’s intended to help riders remember the addresses of their regular haunts, with the option to save locations in the Uber app itself. Saving a location for future reference is simple. While you’re en route to a location just look for the option to save that place. You then enter the address, give it a name, and you’re done. You can store as few or as many addresses as you want. Then, when you’re next heading to any of them you can just tap “Where to?” and then “more saved places” to access your list of locations. Uber claims that, over time, the app will be able to predict which of your Saved Places you’re heading to. It will then show the relevant locations as shortcuts on your homescreen. This is a neat little feature for anyone stuck in a rut. However, a better option would be using the opportunity to visit new places. Perhaps making use of Google’s new event finder Google Now Helps You Find Things to Do This Weekend Google Now Helps You Find Things to Do This Weekend Unless you live in the middle of nowhere, there are likely to be concerts, gigs, exhibitions, and events happening this weekend close to where you live. You just need to know where to look... Read More in the process. Saved Places should prove to be extremely useful for regular Uber customers. Especially those who visit the same few places over and over again, but aren’t good at remembering addresses. It could also push you out of your comfort zone, and make you realize it’s a big world out there. Do you regularly use Uber? 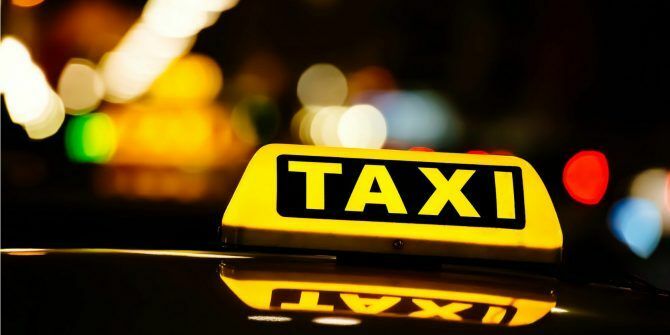 Or do you still use traditional taxi services? Will you be making use of the new Saved Places feature in the Uber app? If so, what places will you be saving for future reference? Home, work, and…? Please let us know in the comments below!